Last week, a pipe burst and a sprinkler line broke in Commons and Village residence halls, respectively. This flooded rooms and forced residents to leave their suites, according to Associate Vice President for Public Relations John Morgan. Freezing temperatures caused both incidents, according to Facilities, via Morgan. 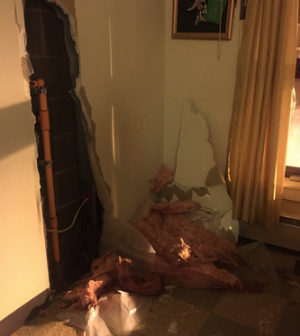 When a Village sprinkler line broke around 12:30 a.m. on Feb. 22, 16 of the 23 residents in the four suites were instructed to leave their residence hall so Facilities and an outside contractor could start the cleanup and repair process. In the meantime, the students in the Village 540s were relocated to another residence hall on Mount Carmel. 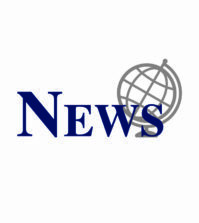 Two days later, a similar incident occurred in Commons, when eight students were forced to leave their rooms for approximately three hours after a pipe burst. Most of the students living in Village 540s have returned to their suites. However, there are some students who haven’t been able to return to their rooms in Village yet. Sophomore Connor McLeod lives in Village 543, the room below where the sprinkler line broke. McLeod and his suitemates are among the students who were relocated to Larson. The university contacted McLeod and his roommates later last week and told them they cannot return to their room until after spring break. Sophomore Kelly Ledwith lives in Village 541, the room in which the sprinkler line burst. Ledwith said the pipe was located in her bedroom on the second level of the suite. Ledwith said her and her roommates remained in a suite in Larson until Saturday morning. Both Ledwith and McLeod said personal property was ruined, but Quinnipiac has been working with them to assess how much harm has been done. Ledwith said she and her suitemates had similar issues with their personal property being ruined by all of the water. When asked if the university would be reimbursing the students for their damaged property, McLeod said he believes that will be the case. McLeod also said he was impressed with how helpful the university has been throughout the situation. None of the students affected by the pipe burst in Commons were available for comment.